The Department of Psychology at the University of Oregon is a dynamic and well-respected group of scientists (faculty, graduate/undergraduate students, postdoctoral scholars, and support staff) conducting cutting-edge research across a range of core topics in psychology. 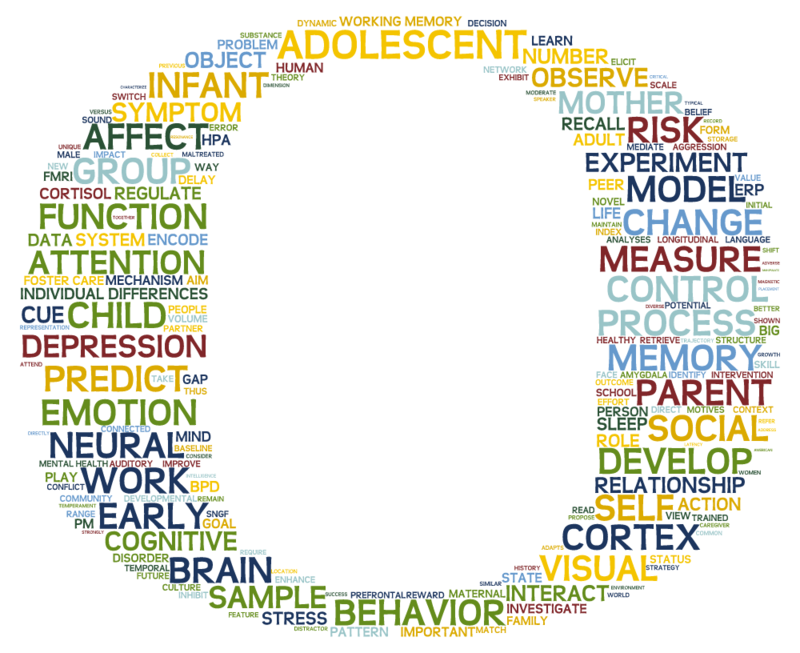 The word cloud below was generated based on a comprehensive collection of the abstracts published by all faculty members during the last several years. This provides a general sense of the relative expertise and interests in the department. For more details about individual faculty research interests, please explore their bios in the People menu (Professors).